This exploration of Cleveland’s Saru label, released earlier this year, is another fine addition to Numero’s Eccentric Soul series featuring lost gems from the ‘60s and ‘70s. Due to its fascinating connections to Ohio funk, the Saru compilation is also one of our favorites. Label owner Chuck Brown set up a management team that included Bobby Massey, one of the original members of the O’Jays, and Calvin Simon, an original member of the Parliaments with George Clinton, and later the Parliament-Funkadelic collective. These two influential staff members assembled talent for the backing bands and also produced and performed on many of the sessions. The set opens in 1969 with the first single by the Out of Sights, a band assembled from local talent that released the label’s first eight sides, seven of which are included here. All are respectable efforts, but none really took hold. 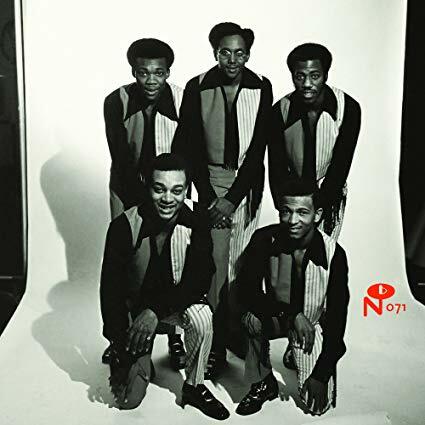 Shortly thereafter everything changed when the O’Jays found themselves without a record deal. The group recorded “Shattered Man” and “Now He’s Home” for Saru, just before their new deal with Philly International kicked in. 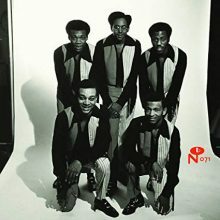 At the time many mistakenly believed the O’Jays had started Saru as their own personal label, and this was likely reinforced on the next release, an O’Jay’s-penned song, “Got to Get My Broom Out,” recorded by local artist David Peoples. But perhaps the zenith was reached in 1971 when Massey and Simon participated on the Funkadelic-inspired single by Sir Stanley, “I Believe” and “Are You Man Enough,” which features some blazing psychedelic guitar licks. These are just some of the funk and soul tracks to appreciate on Eccentric Soul: The Saru Label, which also features the Elements, Pandella Kelly (on the Eddie Levert song “Stand in For Love”), Bobby Dukes, Michael Bell, the boy band Ponderosa Twins + 1, and the female group Ba-Roz. Another interesting sidenote: Kanye West’s “Bound2” from Yeezus heavily sampled the song “Bound” on this set, co-written by Massey and performed by The Ponserosa Twins. As with all Numero releases, the accompanying booklet features many archival photos and an extensive essay by Rob Sevier, one of the co-founders of Numero Group. This entry was posted in Rhythm & Blues, Soul, Funk and tagged Bobby Massey, Brenda Nelson-Strauss, Calvin Simon, CD review, Cleveland, Eccentric Soul, funk, Numero, O'Jays, Ohio funk, Parliament-Funkadelic, Saru, Soul by aaamc. Bookmark the permalink.